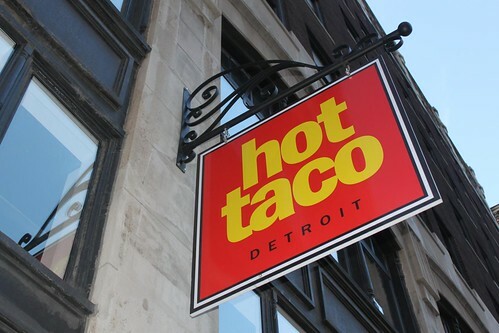 Hot Taco Detroit is the latest addition to the Mexican taqueria scene in Detroit. Or so they would have us believe. I was excited to hear a new Taqueria opened behind the Fox. 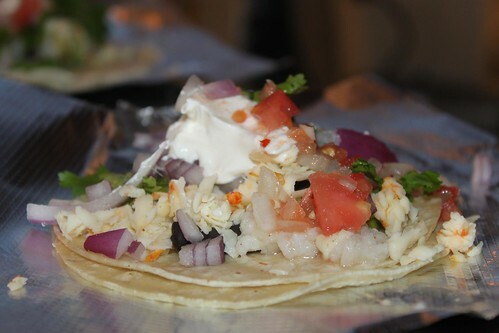 I trailed off into dreams of no more wondering where to grab a bite before the game, some late night taco drive byes, delicious bites of savory tacos, a new hang out…and then I went there and woke up. Brutally. Let me start off by saying, I have no issue with this place not being “authentic” Mexican. I enjoy concept restaurants with twists and interpretations on classics. It keeps it exciting. If you want “real” tacos, you drive down Vernor to El Nacimiento. Simple. 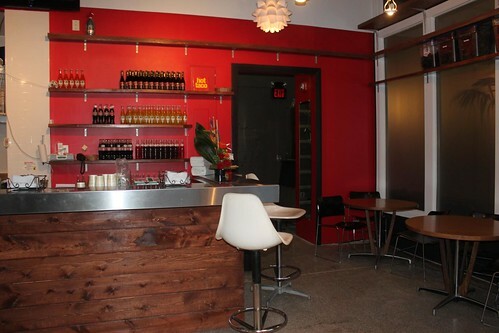 The place has a sleek modern design. 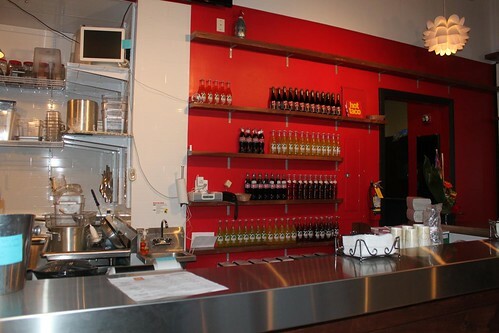 A stainless steel counter and bright red wall are what you notice first. What I noticed second was how much clutter they had behind the counter. Herbs in plastic containers stacked on shelves, pots and pans, organized chaos. I understand going for a modern minimal look, but make sure you have enough room to hide everything else from your guest. On a side note, they have rotisserie style chicken they sell for $7. Not so Taco if you ask me. If you felt like my side note was random, that’s how I felt about that chicken being sold there. Random. Anyways, on to the “tacos”. I included quotation marks around the word ‘tacos’ because if it kinda looks like a taco, and you call it a taco, it does not mean its a taco! They have been super busy apparently because they were sold out of almost everything. So, I ordered two veggie tacos ($3 /taco) and a veggie burrito ($6). Easy right? How hard can veggie tacos be. Well, she (the person that runs the front), proceeded to put this white glop on the tortillas. When I asked her what it was she said it’s rice. I didn’t say anything. Then came some black beans, cheese, and huge hunks of onions, red onions mind you, and sloppily cut tomatoes. Then the cilantro, which was whole and some sort of garlic salsa and sour cream. This is then wrapped in aluminum foil. Yes, aluminum foil. 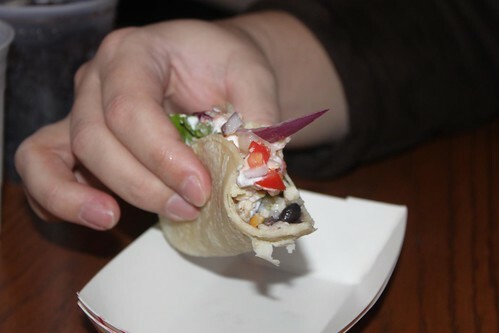 Please take a close look at the picture above and tell me, does that look like a veggie taco to you? Boiled plain flavorless white rice has no place on a taco, unless you call it The Porridge taco. 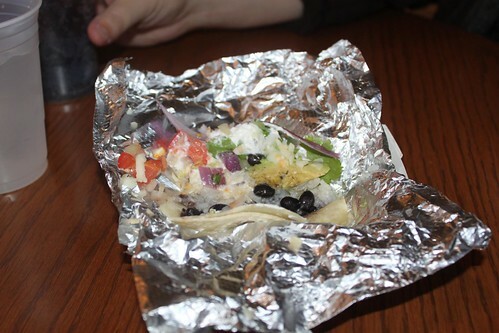 The whole thing was messy and gross and tasted nothing like a taco. All you could taste after was red onion, for hours mind you. 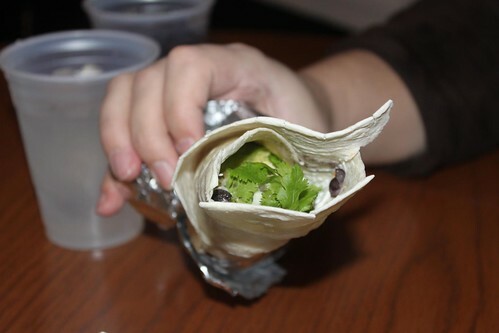 On to the burrito. First two bites were of empty tortilla, the next bite after contained a cilantro leaf with stalk that pulled up everything behind it and caused it to fall down my shirt. Sigh. I had given up on the place by then, but was hungry and decided to give it a few more bites in hopes that maybe it would get better. No such luck. 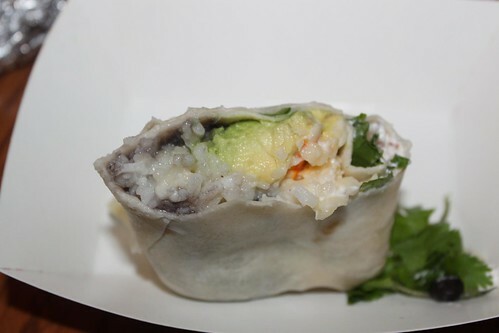 Here is a cross section of the burrito. Seriously guys, look at it. That doesn’t look right! Where is the refried beans, the spicy rice, the delicious salsas? What is this the deal with this liquidy white rice stuff on the left? If you think I am overreacting give it a go. Waste some $$. My main grievances: Other than the gross mushy white rice, nothing was cooked to order. 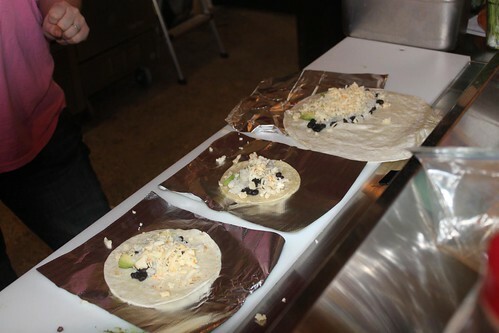 Everything was pre made and just slopped onto a tortilla from hot plates. I was actually offended by the food that was served. It had no flavor, and they have no idea how to make a taco. It wasn’t even half decent. 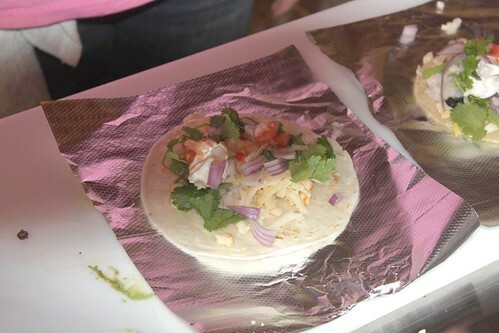 I would save my money and head to a taco truck. At least their taco is actually a taco. Hot Taco is not so “hot” and not so “taco”. ++Mira++ posted this article under restaurant reviews, reviews	on Sunday, January 8th, 2012 at 2:42 pm	You can follow any responses to this entry through the RSS 2.0 feed. You can leave a comment or trackback from your own site. View Technorati Linkbacks. This article has 12036 commentshttp%3A%2F%2Fwww.mirauncut.com%2Fhot-taco-detroit-detroit%2FHot+Taco+Detroit+-+Detroit2012-01-08+19%3A42%3A12%2B%2BMira%2B%2Bhttp%3A%2F%2Fwww.mirauncut.com%2F%3Fp%3D1203 so far! I was at Hot Taco on Saturday afternoon. Found the staff helpful and friendly. I ordered two chicken tacos and loved them. Just the right amount of seasonings. 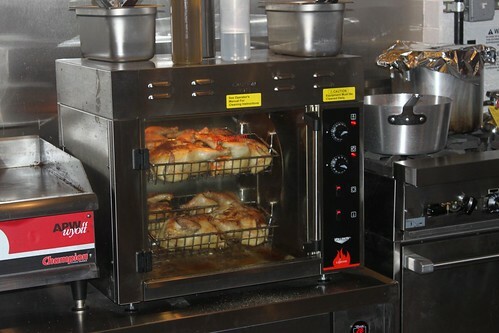 As far as your comment regarding the whole rotisserie chickens for sale, I talked to one of the staff and she said that people had requested that they sell them. What a great idea…especially for the people in the area who would love a 'whole cooked chicken' to take home and not have to worry about meals for a couple of days or having to drive miles to pick one up at a grocery store. Good luck to Hot Taco! You have a repeat customer in me. Lorene, the staff was indeed friendly. I agree with you. I had no issue with them. However, the food (what I had) was bad. It is what it is. If you look online at other reviews and elsewhere, many people had the same grievances I did. Also, I was not alone that day, that was not only my opinion. I have FB friends that went separately and they feel like the food was flavorless. I don't feel like I need to defend my opinion as the pictures speak for themselves. Boiled white rice in a veggie taco? Come on. As for good luck, yes I agree. I do wish them good luck. I never wish ill on anyone. I would hope they fix their tacos. I love Detroit and support all their businesses that deserve it. Thank you for the comment. Yeah, I have to agree with Lorene. I did not have the vegetarian tacos but I had chicken, pork, and tilapia and I thought they were all great (I do have the same cilantro complaint – I lovvvve cilantro but not the stalks). It is a brand new business and there are obviously some kinks to work out still, just like there were at Sugar House which recently opened and probably most restaurants that are newly opened. I live right around the corner so I will definitely be returning (plus Centaur next door is a great bar). Daniel, I understand new businesses have kinks. No issues with that. BUT, this place has nothing to do with a taco joint. Boiled white rice does not a taco make. The portions are small, and for ten dollars I can get alot more elsewhere. It\’s not that the food was just under-seasoned, that\’s an easy fix. The food is just wrong. I still wish them the best and will visit them again for another chance. Sad to hear. It\’s really not that hard. Simple fresh ingredients are needed.